William "Willy Wonka" Rodriguez is held on $500,000 cash bail. Salem, Massachusetts — Three of five suspects were arraigned today in Salem Superior Court on 177 indictments alleging breaking and entering, larceny, conspiracy, and receiving stolen motor vehicles, in connection with a multi-state ATM robbery operation. 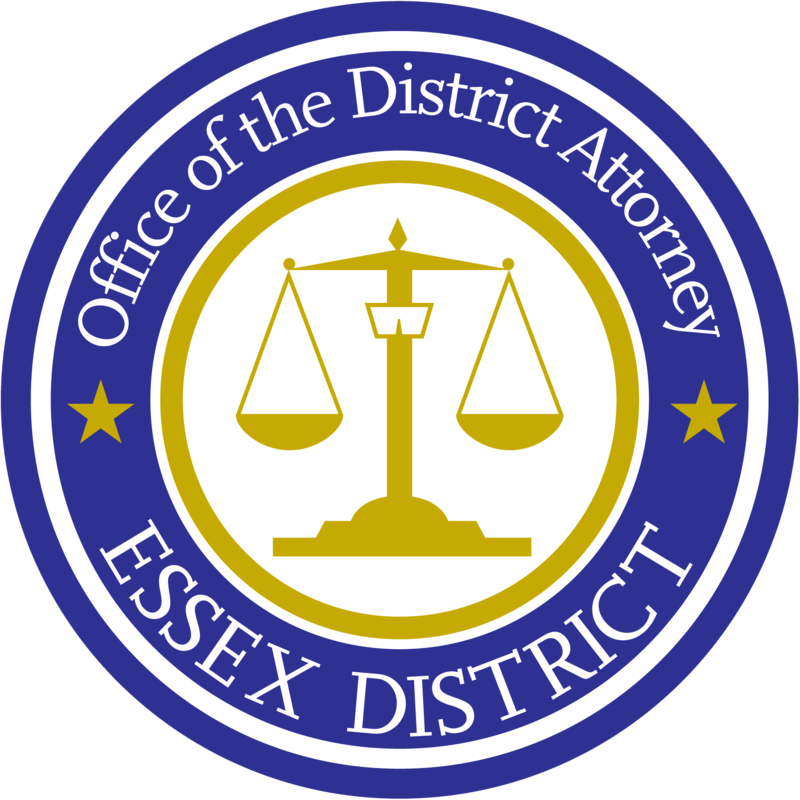 The indictments, secretly returned by an Essex Grand Jury on August 20th, charge four Lawrence residents with committing 17 commercial and ATM burglaries and stealing 12 cars as part of their criminal enterprise, totaling over $300,000 in stolen property and currency. Three of the five defendants were arrested by Essex State Police Detectives this morning in Lawrence. Operation Golden Ticket was a six-month long investigation, led by the Essex District Attorney's Office, involving over 50 law enforcement agencies from Massachusetts, New Hampshire, Rhode Island, and Connecticut. William “Willy Wonka” Rodriguez, a/k/a Chocolate Man, 47, was arraigned on 60 counts, including 2 counts of conspiracy, 14 counts of breaking and entering in the night to commit a felony, 9 counts of possessing burglarious tools, 11 counts of breaking into a safe or depository, 12 counts of receiving stolen motor vehicle, subsequent offense, 9 counts of larceny, 1 count of receiving stolen property, 1 count of resisting arrest, and assault dangerous weapon. Nelson “Pito” Rodriguez, 43, was arraigned on 44 counts, including 2 counts of conspiracy, trafficking in fentanyl over 10 grams, 6 counts of possessing burglarious tools, 9 counts of breaking and entering in the night to commit a felony, 7 counts of breaking into a safe or depository, 7 counts of receiving stolen motor vehicle, subsequent offense, 6 counts of larceny, and receiving stolen property. Marilyn Santiago, 38, was arraigned on 2 counts of accessory after the fact to a felony, and conspiracy. Chepiel “Chep” Sanchez, 41, was indicted on 61 counts, including 2 counts of conspiracy, 14 counts of breaking and entering in the night to commit a felony, 9 counts of possessing burglarious tools, 11 counts of breaking into a safe or depository, 11 counts of receiving stolen motor vehicle, 9 counts of larceny, receiving stolen property, 2 counts of resisting arrest, money laundering, and assault dangerous weapon. Ignacio “Iggy” Duran, 41, was indicted on 10 counts, including 2 counts of conspiracy, possessing burglarious tools, 2 counts of breaking and entering in the night to commit a felony, 2 counts of breaking into a safe or depository, receiving stolen motor vehicle, larceny, and resisting arrest. William “Willy Wonka” Rodriguez, Chepiel “Chep” Sanchez, Nelson “Pito” Rodriguez, Ignacio “Iggy” Duran, were all also indicted as Habitual Offenders under the Massachusetts Habitual Offender statute, Chapter 279, Section 25, due to their extensive criminal histories and prior state prison sentences. A Habitual Offender under Massachusetts law is a defendant who has two prior convictions in which they were sentenced to prison terms greater than three years. With the Habitual Offender sentence enhancement, a sentencing judge, upon conviction of a felony, must impose the maximum sentence permissible for that felony. In this case, each count of Breaking and Entering in the Night Time carries a 20 year state prison term as a maximum penalty, and each Receiving Stolen Motor Vehicle count carries a 15 year state prison as a maximum penalty. At arraignment before Judge Timothy Feeley, the Commonwealth sought high cash bail for the four male defendants. William “Willy Wonka” Rodriguez, a/k/a Chocolate Man, was held on $500,000, and for violation of his parole out of New Hampshire. Nelson “Pito” Rodriguez, was held on $60,000. Marilyn Santiago, was held on $1,000. The defendants are due back in Salem Superior Court on October 11, 2018. Operation Golden Ticket led to indictments pertaining to the following incidents that took place over nine nights during the period of February 2018 through April 2018. The case is being prosecuted by Essex County Assistant District Attorney Philip Mallard, and Assistant District Attorney Melissa Tafe of the Bristol County District Attorney’s Office. Massachusetts State Police Sergeant Robert C. Labarge oversaw the regional investigation in coordination with Essex ADA Philip Mallard with assistance from Trooper Michael W. Murphy, Essex State Police Detective Unit and Investigator James Carney of the Essex District Attorney's Office. In total over 50 law enforcement agencies across New England contributed to the investigation, which was led by Essex District Attorney Jonathan Blodgett’s Office. The following law enforcement agencies and sheriff departments assisted in the investigation: Attleboro, Boston, Bourne, Chelmsford, Gardner, Fall River, Fitchburg, Hanover, Harwich, Haverhill, Hudson, Lawrence, Leicester, Lowell, Malden, Marlborough, Medford, Methuen, Milford, Needham, Newburyport, Newton, Swansea, Springfield, Tyngsborough, Yarmouth, Wakefield, Waltham, West Springfield, Westwood, Worcester, in Massachusetts; Bedford, Nashua, Pelham, Salem, Peterborough, Portsmouth, Plaistow, in New Hampshire; Pawtucket, Providence, in Rhode Island; Plainfield and Waterbury, in Connecticut, and Olde Orchard Beach in Maine. The Essex County Sheriff Department, Boston Regional Intelligence Center, the Bristol County Sheriff Department, the Massachusetts State Police Fusion Center, National Insurance Crime Bureau, the Massachusetts Department of Corrections, the Connecticut State Police, the New Hampshire State Police, New Hampshire Department of Correction, and the Rhode Island State Police also contributed to the investigation. Assistance was also provided by the Federal Bureau of Investigation. Indictments are allegations and the defendants are presumed innocent until proven guilty.